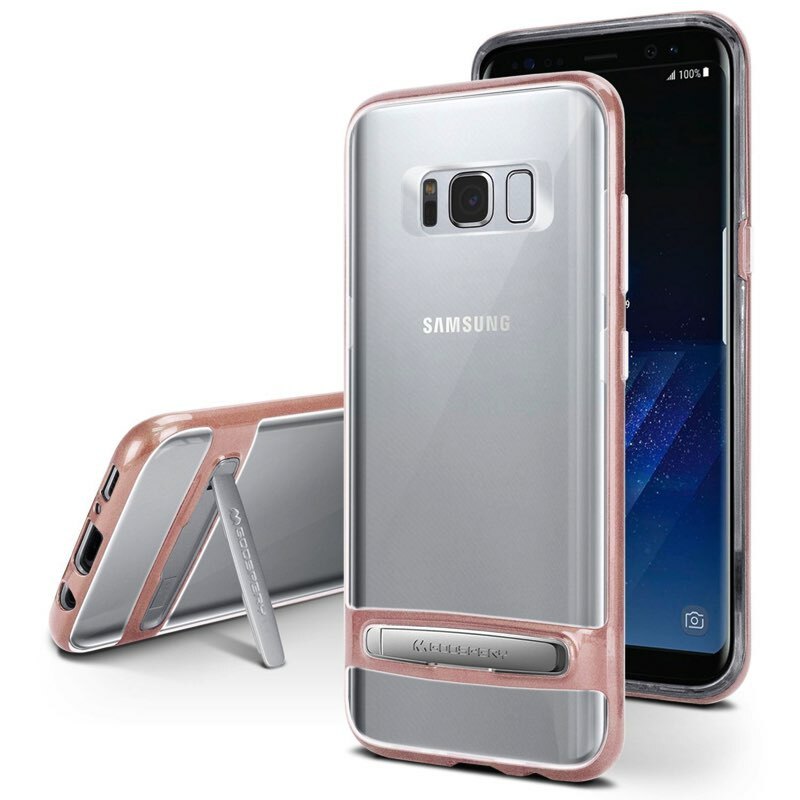 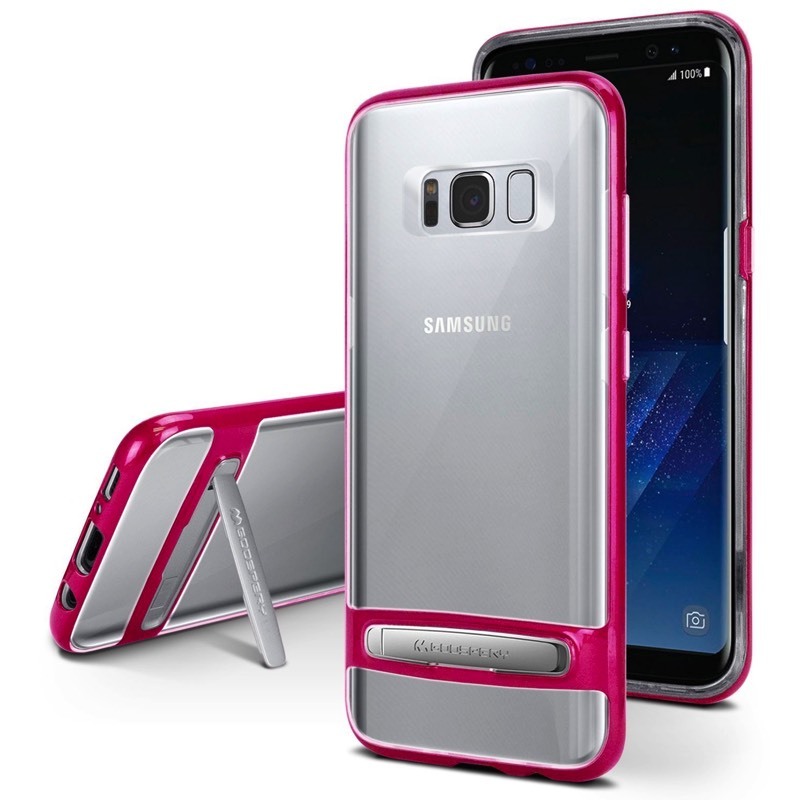 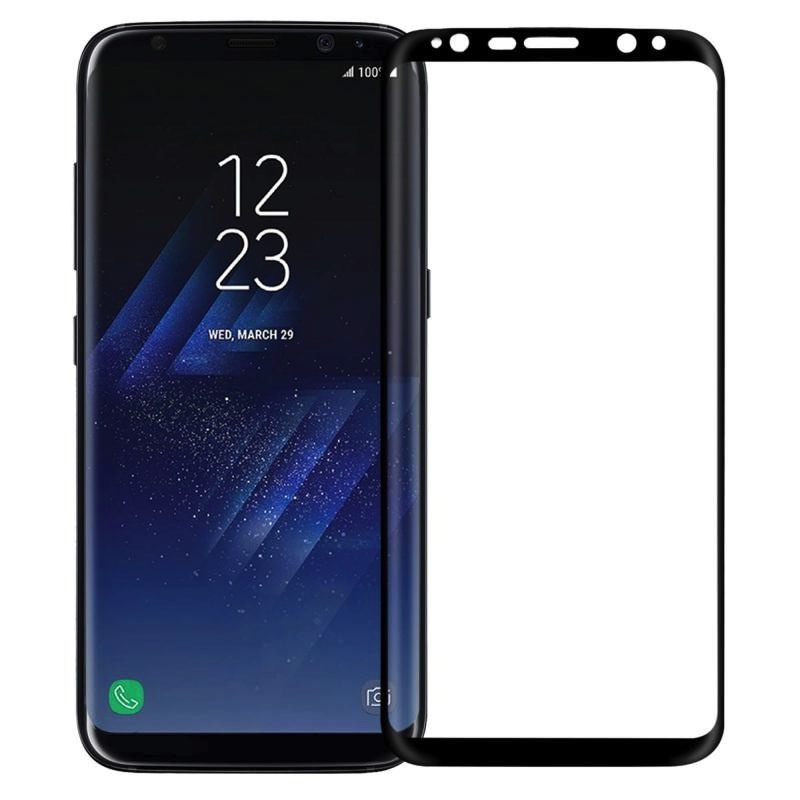 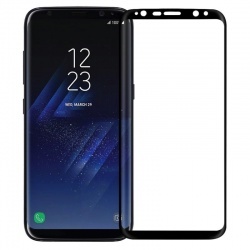 Samsung Galaxy S8 Goospery Dream Bumper RoseGold case features a clear hybrid design back case. 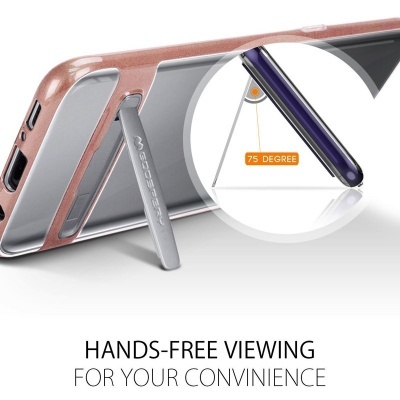 Easy hands-free viewing with an in-built kickstand. 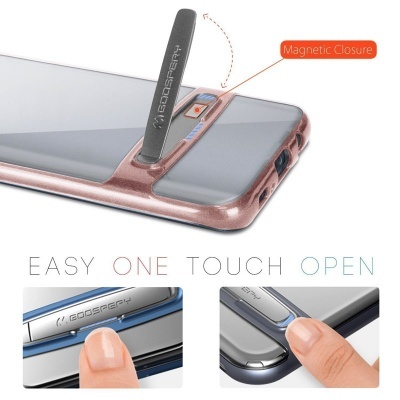 Precisely cut button covers provide easy access to all buttons. 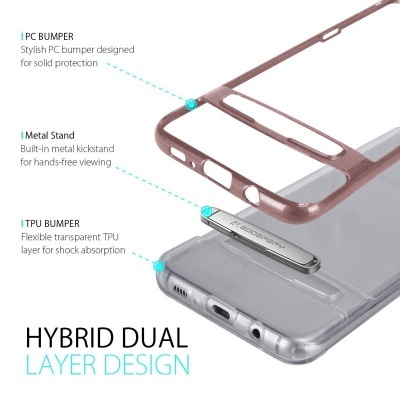 Air cushions on all four corners provide extra protection to your phone against impact.